Individual learners are at the core of The Pine School’s academic program. The curriculum for each grade and each subject is structured to meet the needs of students at that age and stage of development, based on the latest brain research. Small classes enable teachers to give students personal attention and to engage all learners fully in every class session. From Kindergarten through 12th grade, students are engaged in academics, athletics, the arts, technology, and multicultural studies. They become skilled at making presentations and learning collaboratively. Artists and scientists visit our campuses and engage students in learning that stretches beyond the traditional classroom. Field trips are planned to augment and support the curriculum at each grade level. The core of our program is a strong traditional platform of reading, writing, and mathematics instruction. Our goal is excellence without compromise in these areas; we are committed to building the best writing and mathematics programs anywhere. We want our students to not only be excellent writers, but to be published. In math, we want our students to compete with students around the world. 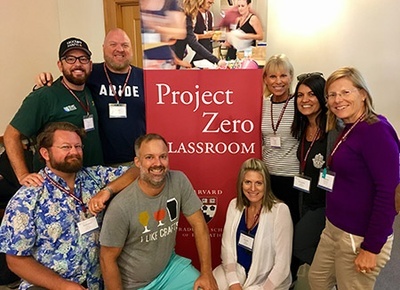 To date, over half of all Pine School faculty have attended the Project Zero Classroom Conference held at Harvard’s School of Education. This ground-breaking research project has brought together the greatest minds of modern education in an effort to develop approaches to learning that further deeper comprehension, cross-cultural thinking, and creative problem solving. These practices have been adopted by Pine faculty and the immediate effects have been tremendously positive. Faculty members at The Pine School have developed an integrated curriculum through Curriculum Mapping. Teachers constantly pursue professional development to keep them abreast of the newest and most appropriate materials and techniques for creating an ideal educational environment. It is our strong belief that every child can learn, but every child learns differently. Within each classroom, students develop strategies that make them effective and efficient learners. 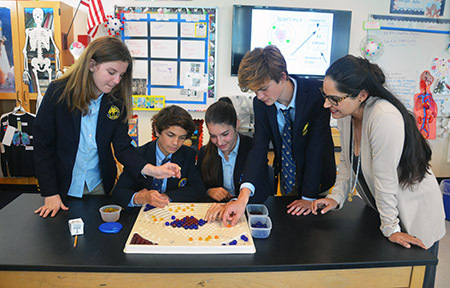 In addition to demonstrating excellence in specific academic areas, students at The Pine School become successful life-long learners with an insatiable curiosity about the world. The Pine School curriculum, with an appreciation of the past, cultivates curiosity within the mind, fostering joy in learning. Honing the capacity for critical and open intellectual inquiry, we ask questions and seek answers; challenge assumptions and make judgments and conclusions supported by logic and evidence. A Pine School student has a window to the world through a curriculum that combines intellectual challenge with a commitment to social responsibility.